Today I am taking this advice quite literally. “Life” in this scenario is my dear friend Anya who happens to have several lemon trees and who gave me a 20+ pound box full of fresh lemons! Needless to say, Cornelia (my cornflower blue Kitchen Aid mixer) has been busy juicing this weekend! 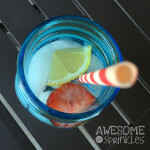 This lemonade is SUPER easy to make, using only 3 ingredients! It’s a light and refreshing sip that is pleasantly tart and not overly sweet. 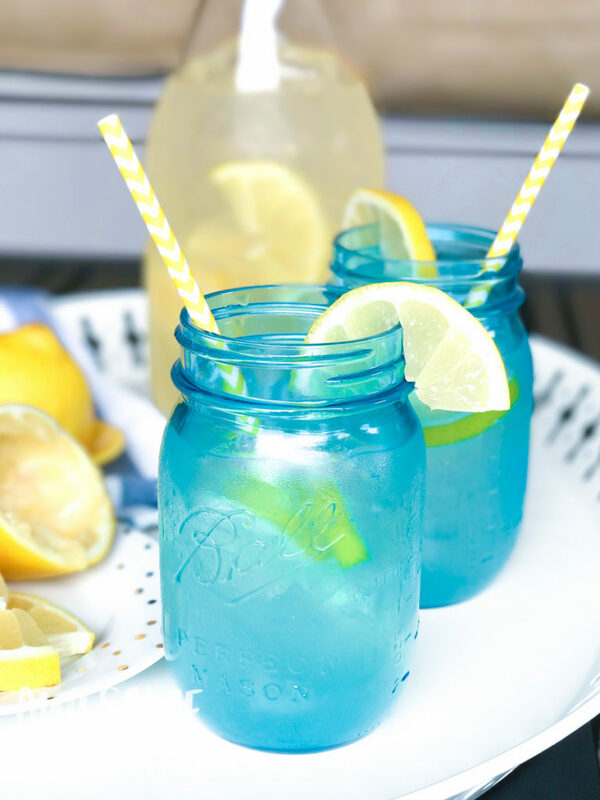 It’s lemonade stand worthy and reminiscent of how grandma used to make – unless your grandmother is southern, in which case you might need to double the sugar! Haha! 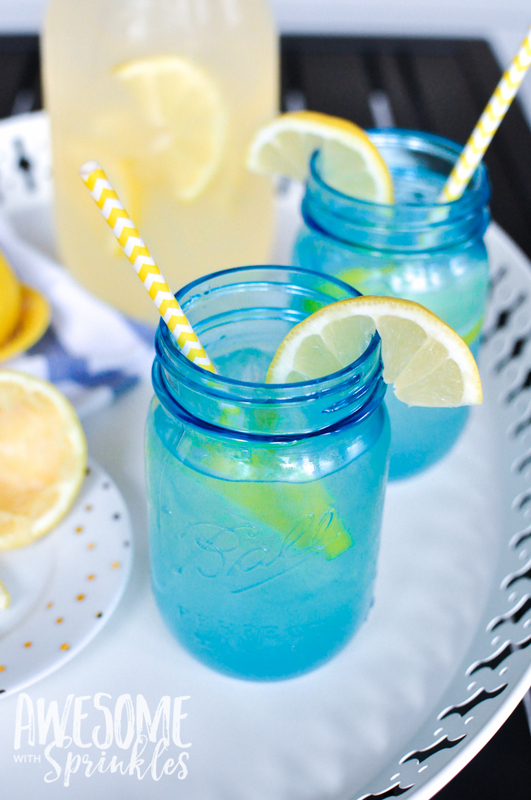 I don’t like my lemonade too sweet, so this is a good ratio for me. 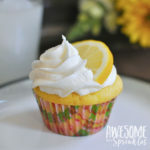 But you can add more lemon juice or sugar to easily adjust to your taste. This is the perfect base recipe that you can jazz up however you like. Add some mint leaves and cucumber slices for next level refreshment. Chopped strawberries or muddled blueberries for a fruity twist. 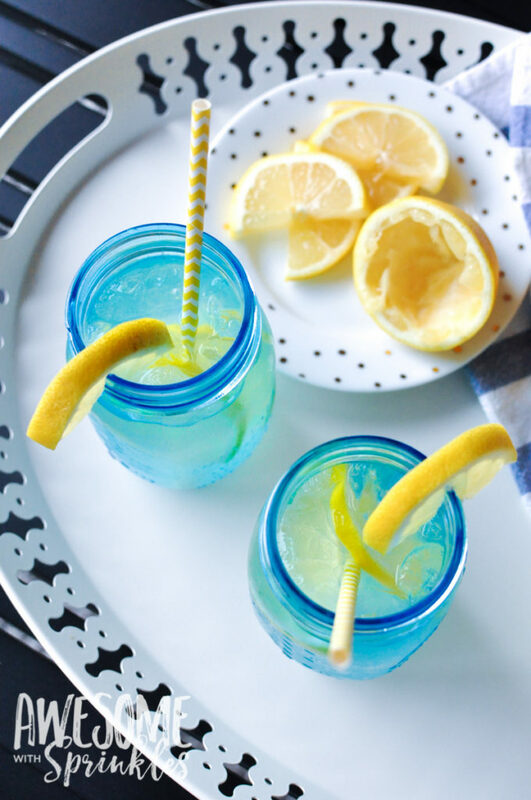 Add a splash of vodka and you’ve got yourself a sweet and sour sip for happy hour! 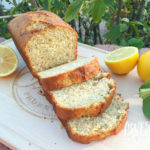 Since you are squeezing all those lemons anyway, I recommend saving a little extra juice for this beautiful Lemon Banana Bread. 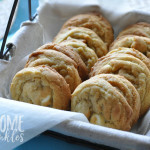 It makes the perfect afternoon snack time companion to a pitcher of fresh homemade lemonade. 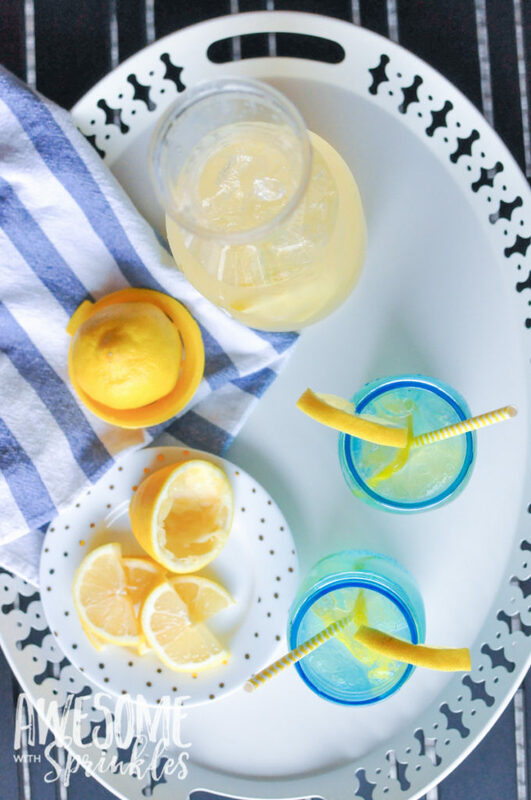 This Old Fashioned Lemonade is the perfect drink for a warm afternoon sitting on the patio in the rocking chair. Not even kidding. I totally just got a new rocking chair for the back patio. 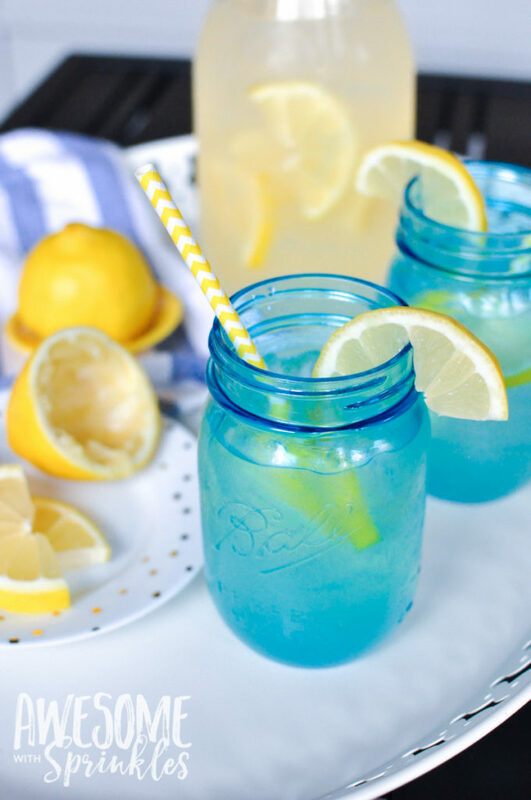 I’m thinking it’s time me and a tall glass of this lemonade had a date with it. Cheers! 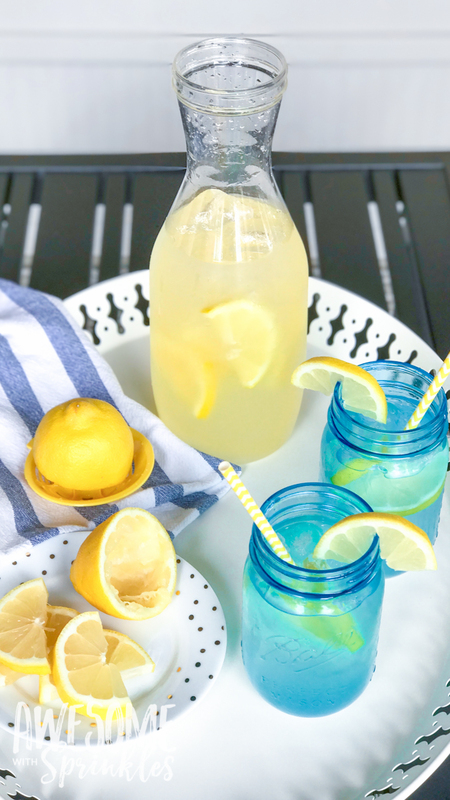 This easy 3 ingredient old fashioned lemonade is a light and refreshing sip that is pleasantly tart and not overly sweet. Dissolve 1 cup of sugar into 1 cup of hot water (hot from the tap is usually just fine). 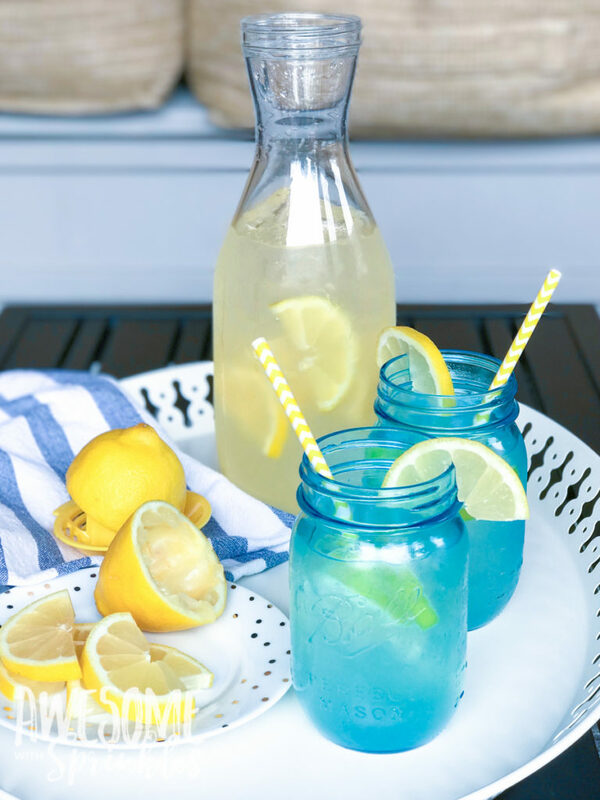 In a gallon sized pitcher or jug, combine sugar and water mixture with remaining water and lemon juice. 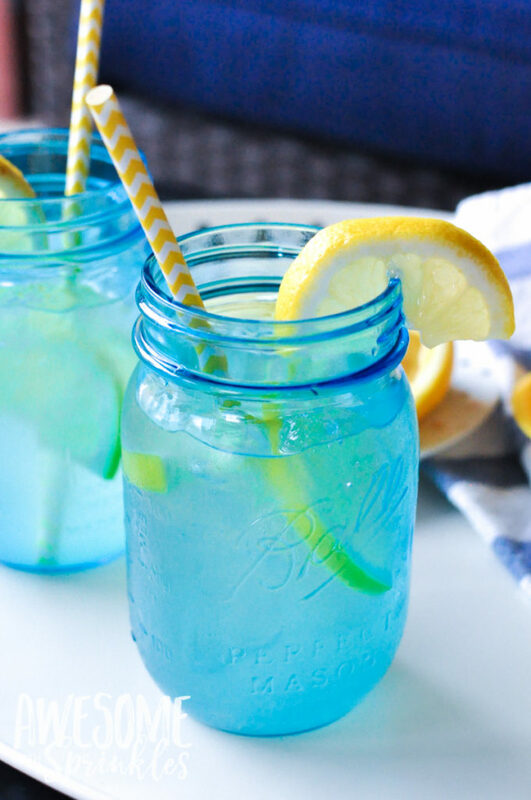 Add more sugar or lemon juice to adjust the flavor to your liking. Top off with about 4 cups of ice and give it a good stir. Serve chilled. Garnish with fresh lemon slices.